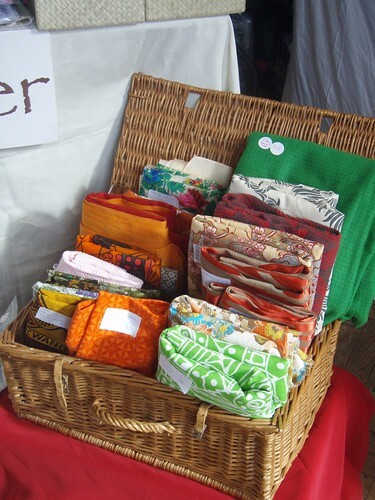 I am very very late in posting about Make, Do and Knit, which was at the end of March… I had a lovely time. Here’s my stand / jumble sale. 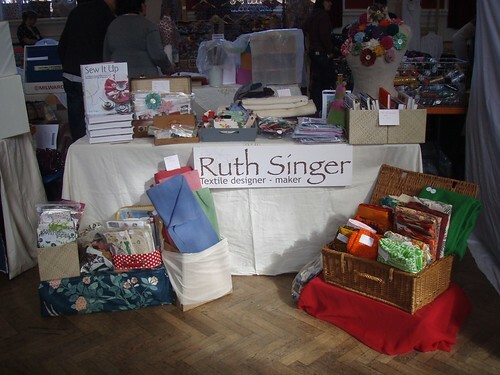 I decided to launch some kits at this event, which went down a storm. 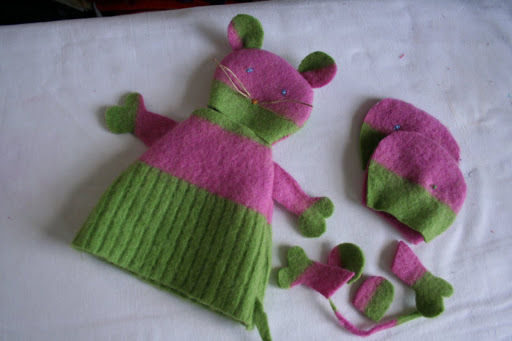 Mr Mouse almost sold out and I had to make up new brooch kits a couple of times. Hurrah! I’ll be launching the kits online later this year. Vintage fabric destash – the remaining ones will be up on ebay in a few weeks. I couldn’t resist a few things for myself. 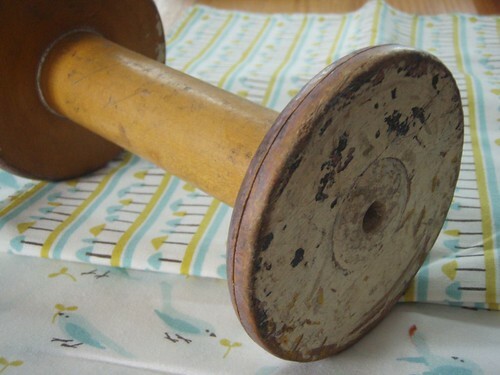 I’ve wanted one of these mill bobbins for ages so finally indulged, ready for my new house. 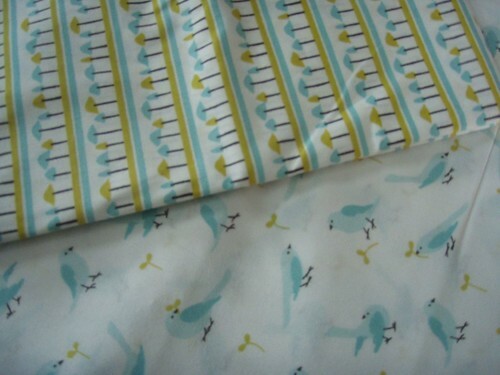 And these pretty fabrics are organic cotton by Cloud9. I have been after these for a while and was delighted that Raystitch had them in stock. I have a project planned for these, sooner or later. I love how you utilized the space in front of your table for your display, great idea!